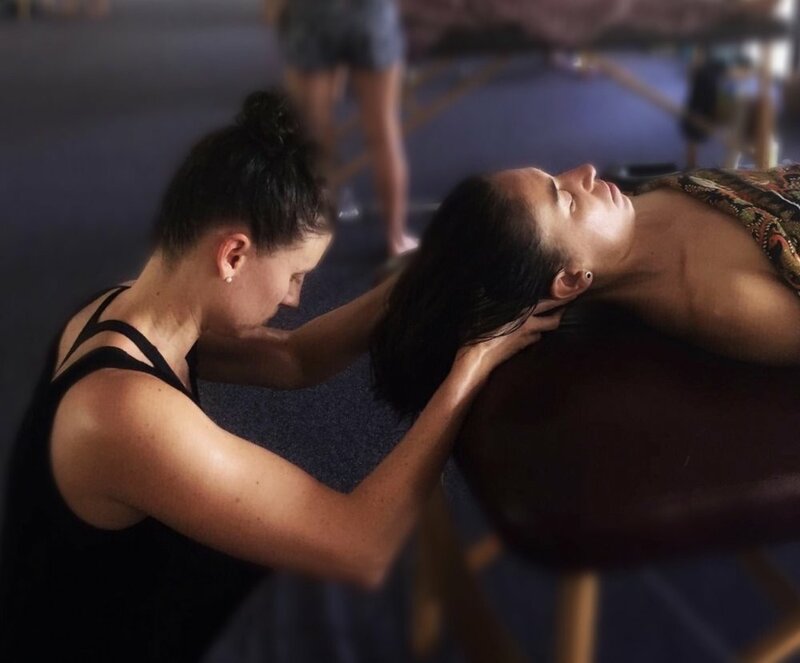 Ka Huna Bodywork originated in the South Pacific and was used as a transformational massage and whole body healing system. Derived from the ancient Polynesian healing methods, it is a style of bodywork that can restore balance to the physical body, emotional body and the soul. It is a style that is beneficial for everybody, regardless of age, body shape, or state of health. No two Ka Huna massages will be the same, just as no body is ever the same. Sometimes this may be in the form of a deeply relaxing and supportive physical massage, at other times it can unlock blocked emotions, catalyse shifts in energy, release past memories, and bring to you a greater connection, sense of calm and deep peace of mind. A beautiful, nurturing massage for Mum and Bub, a Ka Huna pregnancy massage using loving flowing strokes, warm organic coconut oil, and soothing touch to relieve muscle aches, pains and tightness, while also supporting circulation and the flow of nutrients to the baby. Many Mothers find it to be a meditative experience, allowing a natural, loving bond to develop between mother and baby, and a deeper connection, relaxation and peace to be reached. The Ka Huna table used has a specially designed pregnancy hatch, allowing Mum to lay comfortably face down, while remaining supported, to receive back body work, before turning over to receive massage to her sides and front. Massaging of Mummas in this way up to 36 weeks, dependant on gorgeous bump size. * Alleviation of muscular discomfort such as cramping, stiffness, tension, backaches, leg cramps, headaches, stiffness of the neck and muscular knots. * Bringing about stress relief and boosting mood and energy levels which may fluctuate due to pregnancy hormones. * Increasing lymphatic flow and the reduction of fluid retention. * Increasing blood flow and circulation to the baby, as well as assisting in the elimination of metabolic wastes. At first glance, Lomi Lomi may seem to be the Polynesian version of the “classical” physical massage. It is circulatory, and moves blood, lymph and interstitial fluid to drainage portals around the body. But on looking deeper, Lomi Lomi is more than just a massage technique, it has the ability to take you to that deep, quiet place inside yourself where your breathing slows and your mind is free. It is a traditional Polynesian bodywork technique with its intention coming from a place of unconditional love. To receive a Lomi Lomi massage is to feel deeply nurtured, openhearted and cared for, creating a powerful positive healing energy in the body. In a unique multimodality approach, Rhianna uses her knowledge as a Naturopath, Nutritionist, Colonic Hydrotherapist and Massage Therapist to assess the sate of your digestive system. The digestive system is often known the foundation of good health. Conversely, if the digestive system is not functioning at its optimum, excellent health is difficult to maintain. On an emotional level, the gut is known as the “second brain” due to its intrinsic link with the nervous system, emotions and the mind. The digestive system is one of the first places many people hold stress, fear or tension in the body, often without being aware of it. A belly massage can often bring awareness to areas of unconscious holding. In this treatment, a 30-45 minute naturopathic and nutrition based consultation will focus on the body systems vital to optimal digestion, and a 15-30 minute abdominal massage will provide further assessment of digestive health and function. Combining techniques from Ka Huna Bodywork, Heartworks Lomi Lomi, Polynesian Floor Massage and Swedish relaxation, this treatment is for people who know they need a massage but are unsure which style suits them best, or those who just want a unique massage experience based on their immediate needs. The body will always speak with a surer voice than the mind and during this longer treatment, Rhianna will be able to flow with stokes, techniques and areas of focus that require attention. Each session will be individualised and intuitive. A brief consultation will allow the patient to discuss their requirements and personal goals for the treatment before commencement. Benefits include any of the above listed for bodywork treatments.